Across the country, pipelines make it possible to safely deliver to American consumers and businesses the affordable natural gas that makes our country a global energy leader and helps spur our economy. 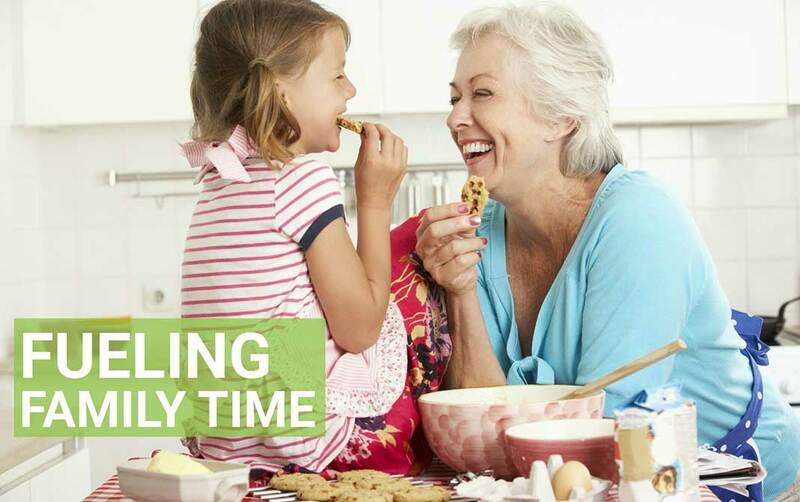 Natural gas is essential to preserving and improving our quality of life on a daily basis. It heats our homes and our water, generates much of the nation's electricity and manufactures products we use every day. 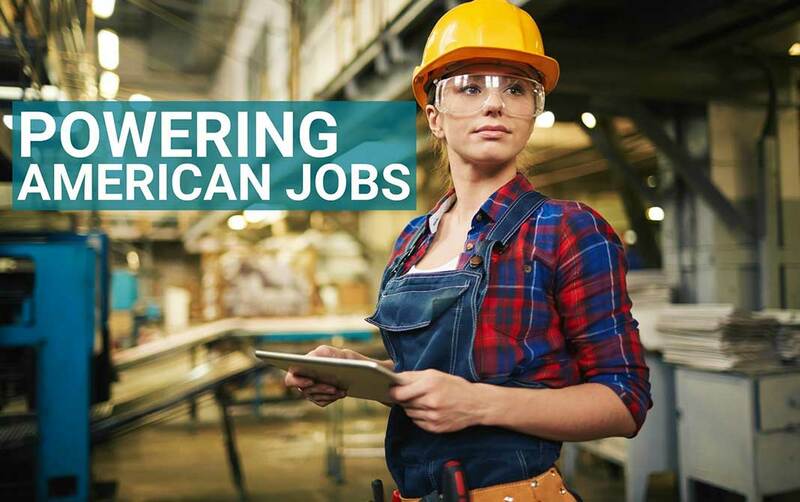 From stable, affordable energy prices to increased tax revenue and job creation, Americans benefit from having a reliable link to natural gas supplies. Awareness and education about interstate natural gas pipelines are critical to helping leaders, communities and consumers better understand and appreciate the value that natural gas and pipelines bring to local communities, states and the entire nation. Let's chat about why pipelines make it possible. Download our America’s Energy Link fact sheet here, and join the conversation! Select a topic below to learn more. We are committed to a culture of safety. The goal of America's interstate natural gas pipelines is to obtain a perfect record of safety with a relentless pursuit of improvement. The teams that build and operate North America's interstate natural gas pipeline system have created the safest mode of energy transportation in the world today. Every day, companies work hard to make it even better. Honesty. Accountability. The industry not only follows applicable federal and state regulations and engineering standards but often exceed them. Companies monitor their pipelines 24/7 in state-of-the-art control rooms. They also conduct regular inspections of their pipelines, including using high-tech “pipeline pigs” or inline inspection tools. Ensuring reliable and safe deliveries of natural gas to customers and maintaining public safety are both essential aspects of pipeline operations. Evidence of the natural gas industry is largely unseen because pipelines are located underground. The vital work of moving natural gas around the country happens safely and reliably every day without most people considering the industry's exceptional feat. Natural gas pipelines play a crucial role in powering the economy by creating jobs, both directly and indirectly. Across the country, natural gas pipelines provide fuel for a growing number of industries, including domestic manufacturing, plastic and fertilizer production and electric power generation. State and local governments benefit by teaming with private companies to build strong local communities supported by well-paying jobs. Transmission pipelines play a major role in efficiently moving gas from where it is produced to where it is consumed. Consumers benefit from consistent energy prices, and the cost savings provided by having an abundant, reliable, affordable source of domestic natural gas. Natural gas' affordability makes the U.S. the envy of the world. With over 200,000+ miles of interstate natural gas pipelines, communicating with elected officials, communities and landowners is critical to helping each understand the value of pipeline operations. We treat landowners with respect. It is important for consumers to appreciate the valuable role pipelines play to deliver the benefits and quality of life we all enjoy. Expanded use of natural gas can help improve air quality across the country, especially when it is used to replace less environmentally friendly energy sources. Natural gas burns efficiently, with fewer emissions, including greenhouse gas emissions, than all other fossil fuels. Increased use of natural gas helps reduce greenhouse gas emissions because it is a cleaner-burning fuel. It also works hand in hand with renewables like wind and solar by providing reliable energy supplies when the sun isn’t shining or the wind isn’t blowing. A right of way is the area over and around the pipeline. Before construction can begin, the pipeline company must propose a project plan to federal regulators. It also must obtain legal access to the right of way from landowners. Once completed, pipelines leave the ROW land in as good – or better shape – than they obtained it. Join the conversation by visiting our Resource Center! There are fact sheets, reports and more tools to help you feel confident to spark conversation in support of interstate natural gas pipelines.